Not just a mask, an at-home spa therapy infused with a powerful anti-aging serum. Use weekly to deliver medical grade skincare therapy in a high absorption, hydrating formula. Smoother, more radiant skin with every treatment. Perfect for all skin types in need of a professional boost. Amazing quench for my thirsty skin. When I wake up and look at my skin in the mirror-I say WOW! I really needed this drink, this punch, this plump to my tired face and neck. Thank you for making a healthy product with real results! 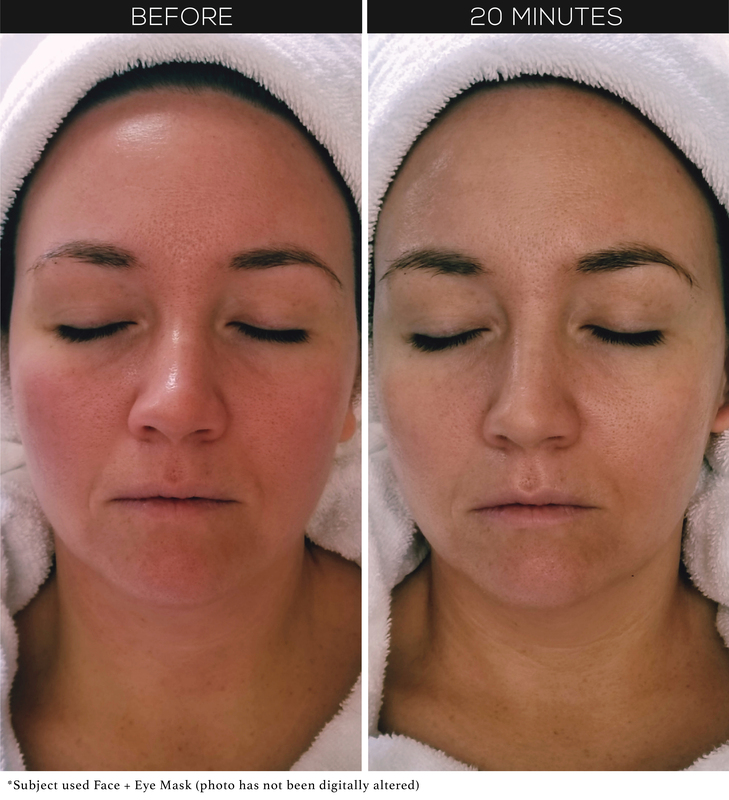 My skin was soft and smooth, but what amazed me the most was the improvement in my skin! Less wrinkles and lines on my neck with a more even tone. Glowing and resilient skin around my mouth and dryness gone. Loved the relaxing private 20 minutes of rest I gave to myself while the mask was on. because of the improvement on my fresh skin! I am a makeup artist who wears makeup EVERY day.